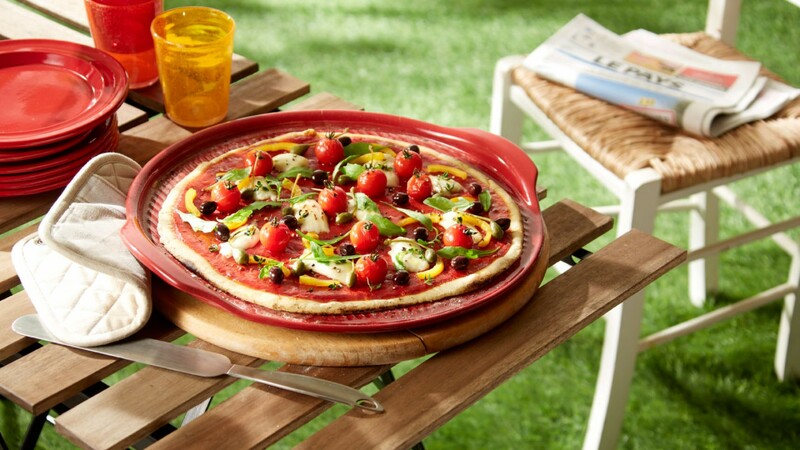 You can use our Pizza Stone to prepare and cook your homemade pizzas. Following our advice, you will produce pizzas with a beautifully golden, deliciously crisp crust. For best results and for a crispy crust, pre-heat your Pizza Stone in the oven at 240°C / 475°F / Gas Mark 9 for 10 minutes. Do not flour the Pizza Stone (as the flour might burn) and place it on the lowest shelf of the oven. During this time, sprinkle flour or very fine couscous over your work surface. The couscous will help you remove your pizza easily afterwards. Roll out your dough, put the toppings on your pizza and, using a pizza peel, place it directly on your Pizza Stone in the oven. Cook for 10-12 minutes at 240°C / 475°F / Gas Mark 9. The thinner the dough, the higher you should set the oven temperature: up to 250°C / 480°F / Gas Mark 9 for very thin dough. 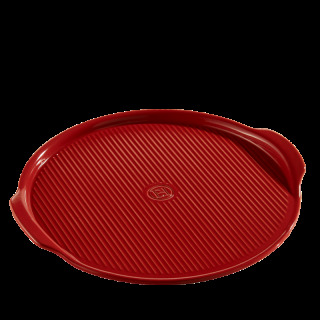 You can also use it to cook thin-crust tarts, appetizers etc. Never use your Pizza Stone directly on a source of heat (gas, electric etc.). 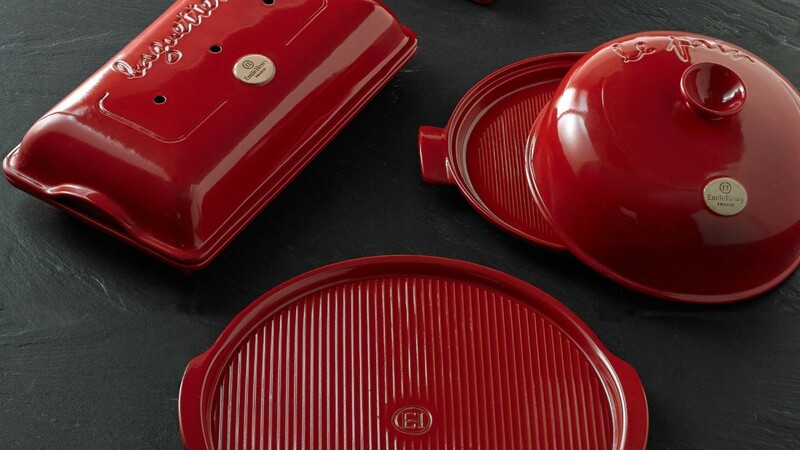 You can, however, use it on the barbeque grill, which diffuses heat evenly all over the surface of the dish. For best results, make sure you close the barbeque lid during cooking. You can cut directly onto the surface of your Pizza Stone, as the glaze is very resistant.